Jealousy, power struggles, mysterious deaths—Oh my! Roman politics had no shortage of intrigue. Germanicus, a nephew of Emperor Tiberius, was a likely prospect for emperor himself. As his star ascended thanks to his military prowess and good looks, Tiberius sent him farther and farther away. When he died of a mysterious illness, sources suggested foul play, pointing fingers at Tiberius. 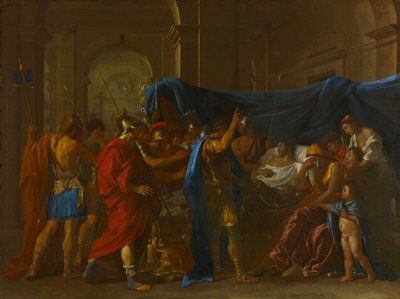 The death of Germanicus came to haunt Tiberius, whose popularity plummeted, ushering in a climate of fear and distrust that soon consumed Rome. Amid the anxiety, another suspect was identified: Tiberius’s chief advisor, Sejanus. Rumors of corruption resulted in*treason trials, in which *delatores,or informers, were used to root out rising stars from threatening the emperor’s grasp on power. Despite his best efforts to put distance between his nephew and himself, Tiberius goes down in history firmly tied to Germanicus, who forever remains the revered martyr.